Meeting with a delegation from the Ministry of Higher Education headed by Prof. Ameen Ibrahim Adam, Prof. Mohamed Al-Fatih Al-Maghrabi, Dean of the Faculty of Economics and Social Sciences at the University of the Holy Quran and Islamic Sciences, stressed working on developing programs of the Faculty, enhancing educational environment and strengthening cooperation relations with counterpart institutions. Mr. Al-Maghrabi pointed out that the Department of Applied Statistics at the Faculty of Economics and Social Sciences is interested in providing national and private institutions, and research centers with qualified graduates capable of collecting, describing and analyzing statistical data in different fields of life and sciences through a modern scientific method that would suit the requirements of the time. It is worth mentioning that the delegation passed the bill of establishing the Department of Applied Statistics at the Faculty, appreciating its infrastructure of laboratories, halls, cafeterias etc. In the same context, Mr. Omar Abu-Seil, head of Statistics and Information department, said that the department is a significant contribution to the Faculty of Economics in particular and to the university in general, explaining that the department will develop distinguished graduates who apply the Holy Quran as a way of life and serve humanity in both applied and Islamic sciences. 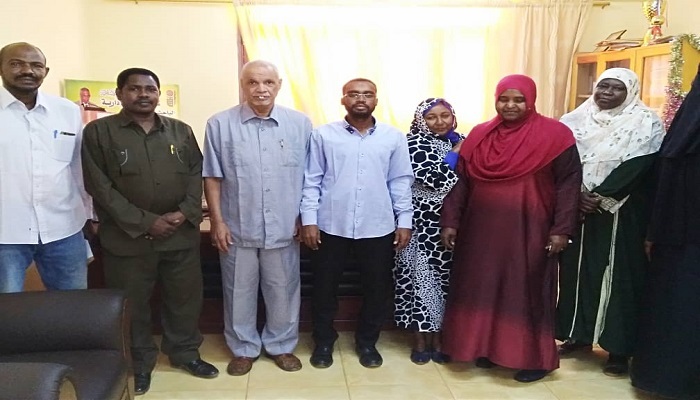 It is also worth mentioning that during its visit to the university last month, a delegation from the Ministry of Higher Education passed the bill of establishing the Department of Political Science and International Relations at the Faculty.